We can always achieve more when we work together. That’s why there have been so many famous partnerships throughout history, like Antony and Cleopatra, Bogart and Bacall, Fred and Ginger, and even Rocky and Bullwinkle. Now, we have another one to tell you about. Move over, Lewis and Clark. Make way for My Doggy and Bark! 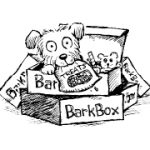 Yes indeed, My Doggy is working closely in partnership with Bark & Co. to get more great high-quality treats into the mouths of deserving dogs worldwide. 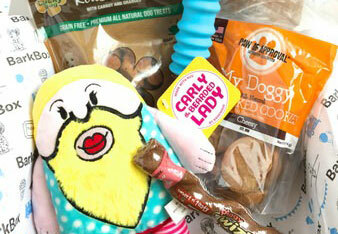 The good people at Bark & Co. produce and deliver the monthly BarkBox and stock the BarkShop. Do we see a theme here? 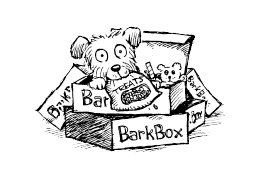 Through the BarkBox, they have mastered the fine art of choosing unique and fun “pawducts” to ship to their subscribers, while the online BarkShop lets everyone make their choices from an even wider selection of goods. Not to pat ourselves on the back too much, but we take it as a great honor that our treats have been chosen to be included in the BarkBoxes. Even better, a select range of our flavors can now be found at the BarkShop. It looks like a “win-win” situation. My Doggy gains the benefit of additional exposure from having been included in the BarkBoxes, and, once people see how much their dogs like us, BarkBoxes go up in their eyes by virtue of having included us. It makes for a nice self-perpetuating system, wouldn’t you say? Bark & Co. love timely topics and themes. Not only do they surprise you when you open your BarkBoxes, they challenge you, too, to get inside their heads and figure out what they were thinking. Usually it’s easy, but sometimes it’s a mystery, as it may very well be with the My Doggy treat in their forthcoming March BarkBox. They e ven address broader issues, like the current election year. 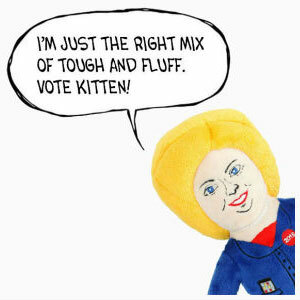 Did you know that the BarkShop offers a Hillary Kitten and a Dognald? These are plush toys for your dog to chew on as it weighs the heavy issues, like deciding whose lap it would prefer to sit on in the Oval Office, the best place to beg for scraps around a stately White Doghouse dinner table, or who it might want to mark time with, not to mention territory, in the Rose Garden. Maybe the best thing about the BarkShop is that it waives the shipping charges on all orders of $35 or more. These days, that can add up to a considerable savings! Check them out.